Only 74°off, because someone accidentally left off the second digit, 2, and someone else didn’t catch the error before publication. I was really hoping that today would be another one of those rare days when the Chicago Tribune weather page didn’t contain a single mistake. Honestly, after chronicling errors on that page on seven of the past nine days, I was rooting for them. This is what high school English teachers must endure while grading essays for advanced-placement classes, in which kids too bright to be making such ridiculous mistakes are sometimes too lazy to proofread properly before turning in their work. It would be great if someone could honestly tell them that, in the real world of professional, grown-up endeavors, that kind of sloppiness isn’t allowed. But readers of the Chicago Tribune weather page know better. On today’s business page, the paper announced that “Margaret Holt, 63, will be elevated to recognize her role as standards editor for the newspaper.” This brief clause in one sentence is the only mention of Holt in the article, a lengthy description about five senior editors and their new jobs at the paper. The other four editors got a lot of attention: detailed descriptions of their past experience, explanations of their new jobs, compliments from upper management and quotes from the newly promoted editors about how they view their jobs. How curious that Holt got none of this treatment. The article didn’t mention what her “elevated” role is to be, whether it will include her current duties or if the role of standards editor itself is being elevated. Too bad that the announcement of her promotion didn’t, in all fairness, give readers the same thorough reporting about her as about the other four. Perhaps an insult was unintentional, but an oversight of this size smacks of a put-down. Of course, someone whose job is to wield a critical red pencil and a sharp eye for mistakes is handicapped in any popularity contest. Or, perhaps she is held responsible for the frequency of errors and the paper didn’t want to raise that question in any description of past performance or future duties. 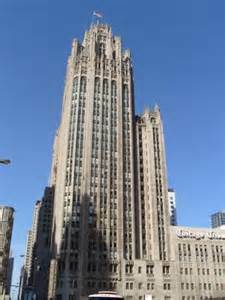 At a 2005 conference called “Editing the Future: Helping Copy Desks Meet the Challenge of Changing Media,” Holt described how the Tribune in 1995 began focusing on eliminating errors. It carefully tracked mistakes, categorized them and devised staff training to prevent them. Judging from its track record lately (and not just on the weather page), the Trib appears to have lost that focus. The prevalence of typos, spelling errors and mangled syntax could be a result of the Trib’s squeeze-the-newsroom business model, rather than deficiencies in individual staffers, who probably feel frustrated and discouraged. These kinds of errors are characteristic of a business whose standards have slipped far enough to damage credibility with its readers and its industry. Does Tom Skilling, the weatherman whose photo adorns the upper right-hand corner of the page every day, ever read it? Perhaps he makes the reasonable assumption, as do many newspaper readers, that a major news organization like the Chicago Tribune would do all it can to ensure accuracy in basic grammar and eliminate typos before publication. The page this day wasn’t an aberration; it’s one of four weather pages in the past six days to be marred by such flaws. 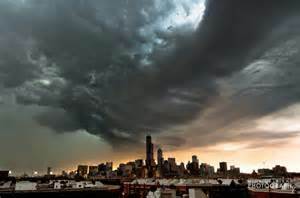 Skilling has a daily column, “Ask Tom,” in which he answers weather questions from readers. It probably isn’t his job to proofread the weather page, but given his prominence on it, he might like an explanation from the page editor about why these sloppy errors keep occurring. If you’d like to know, too, try contacting him at asktomwhy@wgntv.com. News flash: Chicago had only one street in 1967! 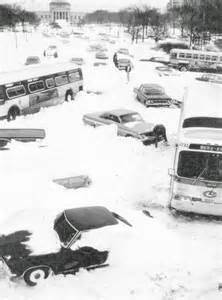 Chicago’s Lake Shore Drive after the blizzard of ’67. Photo from chuckmanchicagonostaliga. wordpress.com.